The `Arab Spring' of 2011 has affected the countries of the region to varying degrees, including the Gulf Cooperation Council (GCC) members, comprising Saudi Arabia, Kuwait, Qatar, the United Arab Emirates, Oman and Bahrain. The GCC has become a significant regional bloc playing a vital economic and political role far beyond its shores, given its geopolitical strategic location, a preponderance of global energy reserves and a major international player through the use of accumulated financial reserves. A new Gulf is rising, one that is more self assertive, looking to expand its membership to other Arab countries such as Jordan and Morocco, while at the same time strengthening the bloc's relationship with current and emerging trading and strategic partners in Europe, USA and Asia. Regional and international realities, especially the uncertainties unleashed by the `Arab Spring', are forcing Gulf leadership to initiate new policies involving closer cooperation amongst GCC countries to address emerging challenges. * Prospects for education reforms and e-learning. * The role and governance of Gulf Sovereign Wealth Funds in investing their surpluses. 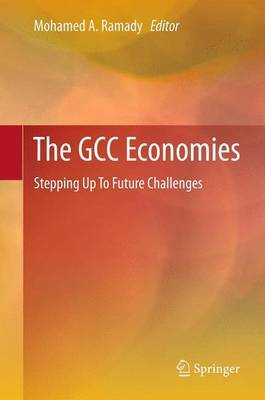 The volume also offers insights for challenges facing the GCC in monetary union, expanding the regional debt market and Sukuk issuance, GCC intellectual property rights application, detailed assessments of individual GCC country risk analysis, as well as the sustainability of long term government fiscal stimulus programs at the expense of private sector involvement.